I grew up afraid to live fully in my body. As a child I heard messages at church that my body was sinful, that a woman's moon cycle made her dirty, that somehow women were not as holy as men. I was afraid of my body and all of the feelings it had that I was supposed to repress in order to fit with the cultural programs. Just as I was coming of age, my body was sexually abused and I was frightened to feel all of the pain and shame that inhabited me. I spent many years trying to escape my body by moving more into my head through college and post graduate school studies at which I learned to excel. I found yoga when I was in seminary and started practicing at home with Rodney Yee on a VHS tape. Even after one practice, I felt my body relax and move deeper into ease. It was so unfamiliar and also just like coming home. I wanted to stay there. I was sold. I kept up the 20 minute practice with Rodney for several years until I gathered the courage to walk into a yoga studio--I feared my body would feel so vulnerable there and on display. But I was welcomed with grace and I found teachers who helped me find the right expressions of the poses for my own body. I am growing more and more comfortable living in my body and amazed at all the unknown potential it contains! Teachers taught me how to do things I never imagined that I could with my body and this clumsy queen learned how to balance on her arms and head! When I became pregnant with my first baby I knew that my relationship with my body needed to be upgraded so that I could learn how to labor in harmony with my body rather than fighting with it like I had for most of my life. So much healing happened through my yoga practice and my three births. I never knew such feelings of joy and ecstasy were possible in my body--right there in the places I was taught to fear the most. More recently a painful divorce challenged me to take my practices to a whole new level where I am learning how to extend more compassion to myself and remember that everything is just practice, just play. When you support TARALOMA you help give free range local organic yoga and spirituality to the Fargo-Moohead area and you support me and my babies Ian, Dylan & Ela <3 Thank you! I realized I could ditch the anti-depressants and juggle the challenges of motherhood if I practiced yoga at least five times a week. In 2014 I completed my 230 hour yoga teaching certification--something I never imagined I would do. The name TARALOMA literally means "earth hill"or body temple. This name reminds me that our bodies are sanctuaries, designed to shine the light of creation. I work to hold sacred space for all my clients as we open up the energy channels of the body to receive healing. 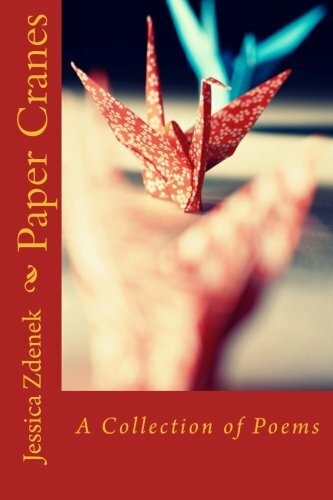 Her first book of poetry, Paper Cranes is now available on Amazon.